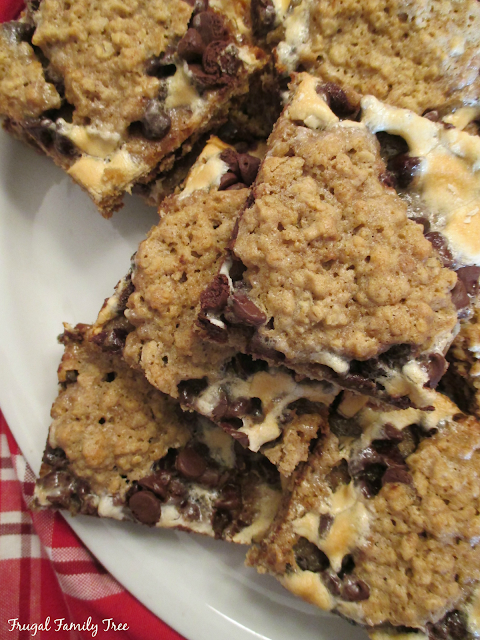 I don't know anyone who doesn't love the gooey, yummy chocolaty and marshmallow taste of s'mores. They have always been a delicious treat that we make when my family and I go camping every year at Lake Cushman in Washington State. I'm not really a big camper, I love the comforts of home for sure, but it's a lot of fun to get together with my kids and grandkids for a few days at the lake. I have a lot of great memories from these times, and I hope it's times that my family will always remember with warmth and happiness. As much as I love s'mores, I sure don't want to wait just once a year to eat them. So when I found this recipe, I was eager to give it a try. I'm so glad I did because they are so delicious!! 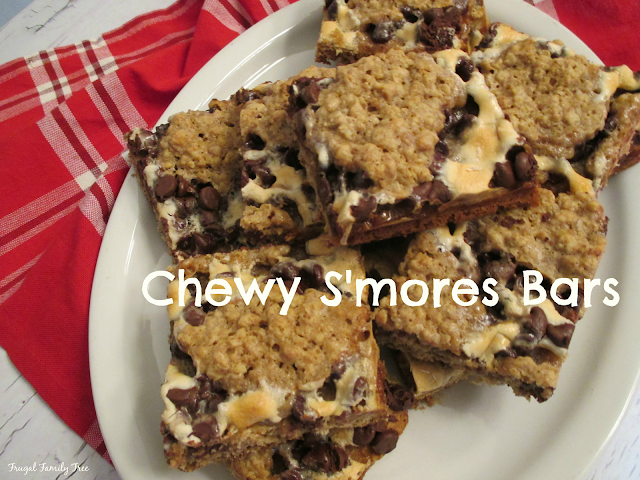 Loaded with chocolate chips and marshmallows, they are all the yumminess of regular s'mores but you can have them whenever you want, and not just around the campfire. My family loved them, and this is a recipe that's a keeper for sure. Preheat oven to 350 degrees. Line a 13 x 9-inch baking pan with foil, extending foil over edges of pan. Lightly grease foil with baking spray. In a large bowl, beat butter with a mixer on medium for 30 seconds. Beat in brown sugar until combined, scraping bowl occasionally. Beat in eggs and vanilla. Beat in flour. Stir in oats and graham cracker crumbs. Reserve 1 cup of the oat mixture. Spread the remaining oat mixture into prepared pan. Bake 15 minutes. Take out of oven and sprinkle warm crust with marshmallows. 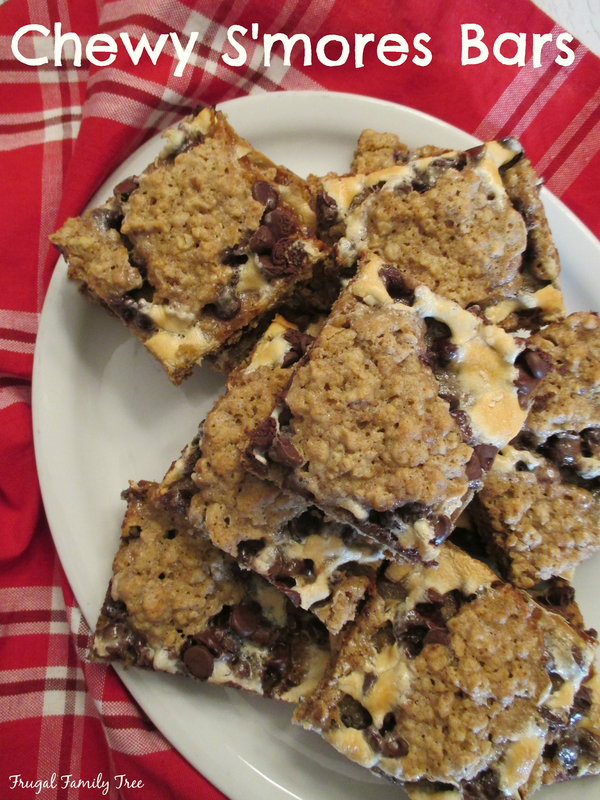 Top with chocolate chips. Dot with the remaining oat mixture. Bake 20 minutes more or until top is lightly browned. Cool in pan on a wire rack. Use foil to lift uncut bars out of pan. But into bars.